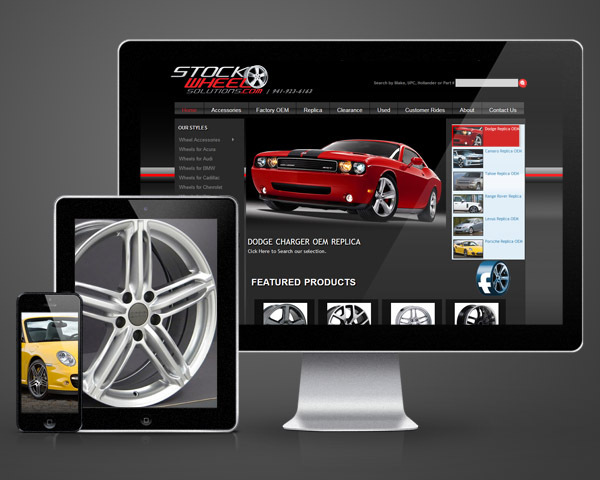 Stock Wheel Solutions is an OEM wheel dealer. They needed a robust eCommerce platform that could handle volume and a wide range of product categories. Sarasota Design developed the branding and eCommerce website. Next we implemented the design into an easy to use website management system that allows the client to make content updates on the fly. Please use IE8 or another browser to view.